ALBANY — The conviction of Joseph Percoco, Gov. Andrew M. Cuomo’s former top aide, campaign manager and brother-like confidant, stains the governor and Albany politics, and exposes easy ways around New York’s ethics laws, political observers said following the verdict Tuesday. It might also influence the upcoming statewide election and Cuomo’s potential attempts to position himself as a 2020 presidential contender, they said. The governor wasn’t implicated in the alleged bribery scheme involving Percoco, an ex-lobbyist, and top Cuomo campaign contributors, so it might not weigh heavily on his upcoming re-election campaign, said Marist College pollster Lee Miringoff. But it lays bare Cuomo’s “major lack of progress” in fulfilling a pledge to “clean up Albany,” he said. 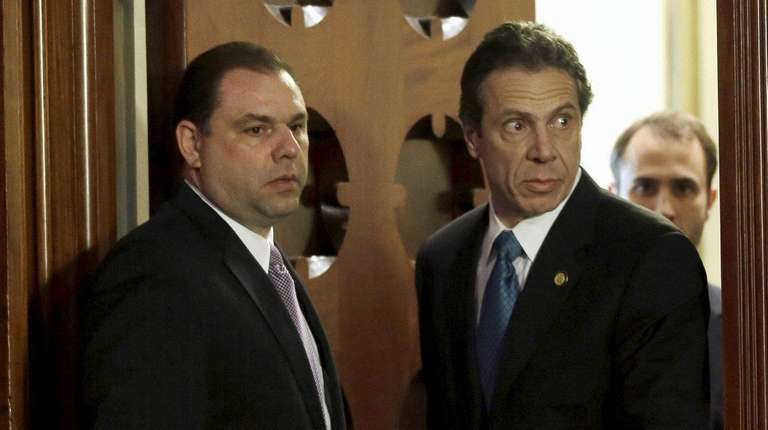 Percoco, a longtime aide to not only Andrew Cuomo but also to his father, the late Gov. Mario Cuomo, was convicted on two counts of “honest services” fraud and one of soliciting a bribe for essentially using his access and influence to pocket bribes and win state contracts and permits for campaign contributors. He was acquitted of three extortion charges. Though New York has seen the fall of Assembly and Senate leaders, rank-and-file legislators and state-agency commissioners, experts on state political history said they couldn’t recall a top adviser to the governor — with the access and influence of Percoco — convicted on public corruption charges in the past 80 years or more. Many Democrats in Albany for Tuesday’s legislative session declined to comment. Some acknowledged that any corruption conviction erodes public trust. The jury found Joe Percoco guilty of two counts of conspiracy to commit honest services wire fraud and one count of soliciting bribes from an energy company. The National Republican Campaign Committee said that “Cuomo’s record of scandal and corruption” would hurt Democratic House candidates. Assembly Minority Leader Brian Kolb (R-Canandaigua) said the governor frequently points out corrupt legislators, but now “has a lot of questions to answer” himself. And Ed Cox, state GOP chairman, renewed his call for the Manhattan district attorney and the state ethics panel to investigate a side issue that emerged during the trial: Percoco’s use of state offices, state phones and his state ID while he was running Cuomo’s 2014 campaign and off the public payroll. Government watchdog groups also noted that evidence showed Percoco and other Cuomo staffers using private email to conduct public business, a lobbyist saying he was advised by an administration official that registering as a lobbyist would make it more difficult to operate, and a contributor being coached on how to hide donations to Cuomo to avoid campaign limits. Cuomo’s re-election chances might not be seriously wounded in part because he stockpiled $30 million in his campaign account and enjoys good ratings among Democrats in a heavily Democratic state, experts said. 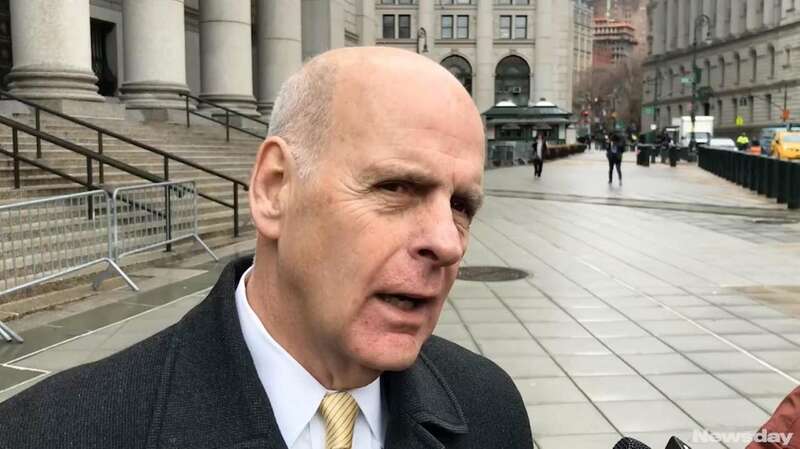 But with a related corruption trial (involving high-profile Cuomo projects in Albany and Buffalo) coming this spring and Percoco tentatively set for sentencing in June, the story line will stick with the governor through the year. “There was no charge against him but obviously it’s going to have some negative impact because it occurred on his watch and by somebody extremely close to the governor and the [Cuomo] family,” said Doug Muzzio, a Baruch College political scientist.